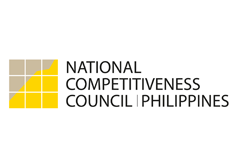 The Department of Trade and Industry (DTI) said the Philippine Business Registry (PBR) will improve the country’s global competitiveness ranking. “PBR is very important not only in terms of service to the public… but also in the increase in competitiveness rankings… this is critical to having a good economic growth,” said DTI Secretary Gregory Domingo. He said the business registration process was one of the major reasons for the country’s poor showing in competitiveness ranking. The PBR cuts the amount of time needed, as well as the tediousness of going to several government agencies to register a business. The PBR electronically links the DTI, Bureau of Internal Revenue (BIR), Social Security System (SSS), Home Development Mutual Fund (Pag-Ibig), Philippine Health and Insurance Corp (PhilHealth) and Securities and Exchange Commission (SEC). 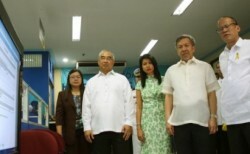 The PBR will be made available nationwide through DTI regional offices on March 1. Besides expediting the registration process, the PBR also is a source of information about businesses in the country. “This will be very useful in analysing the industry, the behaviour of the SMEs and other types of corporate information," Domingo said.